The Barese Ice Men of New York (2015), 80 min. 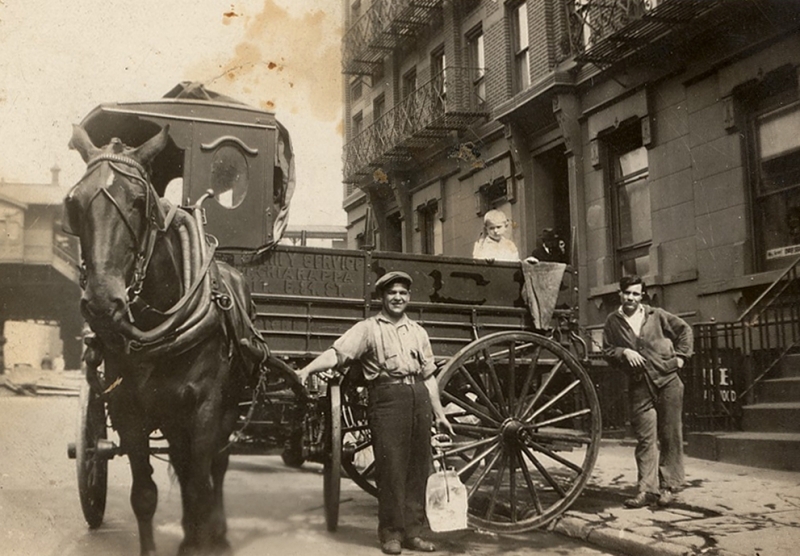 The Barese Icemen of New York follows the story of the Italian immigrants from the region of Apulia who from the 1920s to the 1960s dominated the making and delivery of ice in New York City. Interviews with former icemen and their families as well as individuals who currently work in the ice business shed interesting light on this niche occupation. What was it like lugging 100 pounds of ice up four flights of tenement stairs? Why did this trade remain lucrative throughout the Great Depression? How did many of these icemen transition into coal and oil delivery after household refrigerators became the norm? Director Carlo Magaletti, himself Barese, looks at these topics in this exploration of how Apulians came to dominate the ice business. Post-screening discussion led by Mark Naison, Fordham University.